TATS has joined along with many other state athletic training associations in the Safety in Football Campaign. 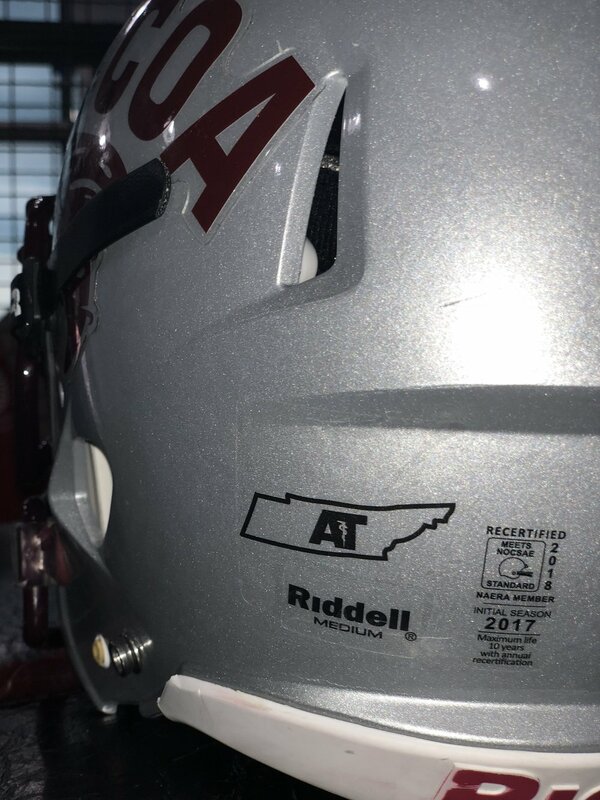 SEATA was generous enough to provide TATS with a limited first run of decals for your use on helmets during this football season. This campaign began in Oklahoma with OATA striving to highlight the role of athletic trainers in providing their clinical skill and expertise each and every day to improve the overall health and safety of their athletes. According to a study conducted by the American Academy of Pediatrics, the presence of athletic trainers in the secondary schools lowers overall injury rates, improves diagnosis and return-to-play decisions, and reduces the risk for recurrent injuries. TATS is eager to see an athletic trainer in every Tennessee school become a reality. Our Secondary School Committee is working hard every day in making steps toward this goal. The Safety in Football campaign is an additional way to promote the work of athletic trainers at your school and prompt conversations about athletic training to those schools that do not currently offer athletic training services to their students. Helmet decals are available for athletic trainers and schools throughout Tennessee to show their support of Safety in Football and recognize the role of athletic trainers in keeping student-athletes healthy and reducing the risk of injury. To request these decals, complete the request form and we will mail these out to you as quickly as possible. Decals will be distributed on a first-come, first-served basis. Once our initial run of decals is gone, we will order more decals based on the requests that have come in. Please include the address where you would like to have these mailed for your school's use. Decals are available in either white or black. Determine which decal will look best on your teams helmets and select one below.